Verde River Golf & Social Club has now relaunched under new ownership with a thoughtful re-design by PGA Tour star Tom Lehman. With a fabulous new clubhouse under construction scheduled to open in 2017, an already stunning desert gem has been rerouted with enhanced features including new bunkering and sand, new green complexes, improved sight lines and much more. The golf course at Verde River Golf & Social Club offers a modern approach to a classic desert-style design situated in some of the richest Sonoran Desert in the Valley. The property sits adjacent to Tonto National Forest, overlooking the Mazatzal Mountains as well as the iconic Four Peaks. The Verde River also flows along the clubs eastern boundary. Taken together, these unique elements create an exceptional backdrop for some of the best desert golf in Arizona. Originally crafted by noted "architect's architect" Ken Kavanaugh, the course burst onto the Valley's golf scene in 2006 to rave reviews. Experts and guests alike championed its strategic design and the sheer beauty of the view corridors across the Verde River and out to the Tonto National Forest and ultimately the iconic Four Peaks. Please check our website for Rapid Pass and Arizona Resident rates. From Scottsdale: Pima Road north to Dynamite Road. Turn Right. Travel east 10 minutes to 174th Street. Turn left into entrance. 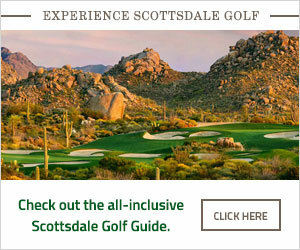 Public play may be booked 60 days in advance at 480-471-3232 or www.verderivergolf.com. A credit card is required to hold the tee time. Not cancelling a tee time within 48 hours or no showing for a tee time will result in a charge of the credit card on file for the full amount due. Contact Verde River Golf & Social Club at 480-471-3232 . This profile was last updated on 01/27/2017 and has been viewed 17,903 times.